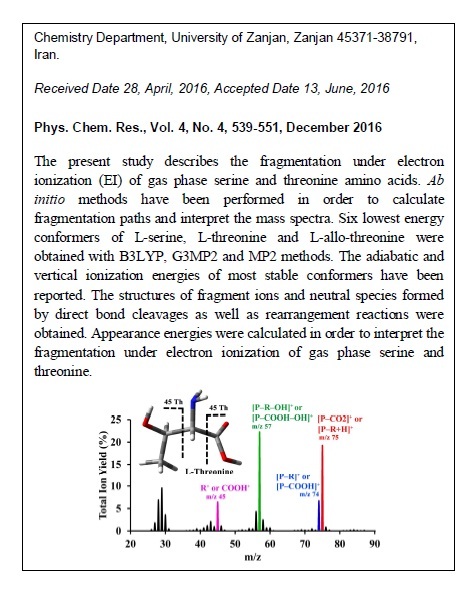 The present study describes the fragmentation under electron ionization (EI) of gas phase serine and threonine amino acids. Ab initio methods were performed to calculate the fragmentation paths and interpret the mass spectra. The six lowest energy conformers of L-serine, L-threonine and L-allo-threonine were obtained with B3LYP, G3MP2 and MP2 methods. The adiabatic and vertical ionization energies of the most stable conformers are reported. The structures of fragment ions and neutral species formed by direct bond cleavages as well as rearrangement reactions were obtained. Appearance energies (AE) were calculated for the formation of particular fragment ions at 200 °C. 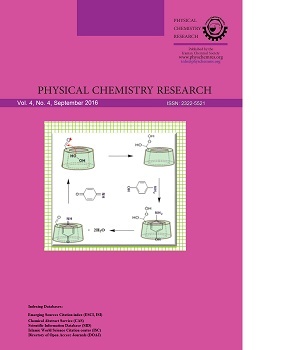 The order of peak intensities were compared with the theoretical calculated AEs, and a complementary explanation was provided about the relative abundance of fragmentation products.